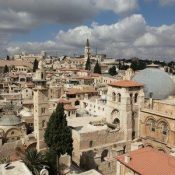 View of the Christian Quarter of Jerusalem's Old City, with the Church of the Holy Sepulchre in the foreground. 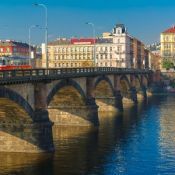 View of the Palacký Bridge over the Vltava River in Prague, the historic capital of the Czech Republic. 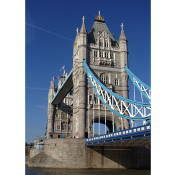 London's Tower Bridge up close, on a beautiful April afternoon!